we are manufacturer of non woven printed fabrics. printed non woven fabric is as per customer requirement and common printed fabric. 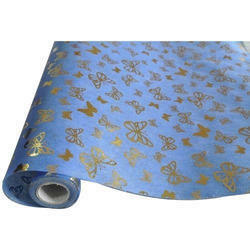 With an objective to fulfill the ever evolving demands of our clients, we are engaged in offering a wide assortment of Printed Non Woven Fabric Roll. We are manufacturing Non Woven Printed Fabrics as per the customers requirements. We have State of Art Technology for Lamination and Printing. We can do Lamination up to 1600 mm wide and thickness from 10 gsm to 100 gsm. We also can supply printed fabric up to six colour and print width up to 1250 mm. - Light: Polypropylene is the main raw material; Specific gravity is 0.9, is only third five, fleecy and touches well. 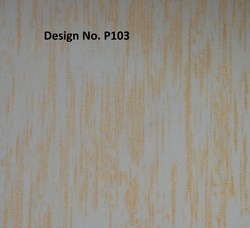 - Flexibility: Made up of microfiber (2-3D), DOT by DOT thermo-melt formed. Flexibility of products is suitable, comfortable. We are also doing printing on non woven fabric as customer requirement. Owing to our years of industry experience and precise knowledge of this domain, we are offering an outstanding assortment of Printed Non Woven Fabrics. We are leading manufacturer and supplier of Non Woven Printed Fabrics. #non woven fabric #printed non woven #Jivan Jyoti We are manufacturer of all kinds of printed Fabrics woven and non woven.